The Alter’Native Food Sector, a show within a show... and multiple events. Such a planetary phenomenon certainly merited special attention. 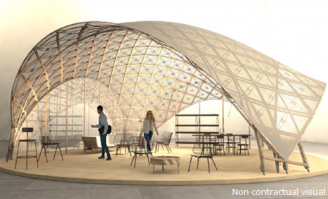 SIAL Paris is therefore giving Alternative Food the space it deserves. 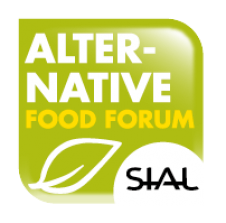 With the creation of a dedicated sector and events, SIAL 2018 proposed a unique showcase for Alternative Food stakeholders! This was a show within the show, which had its own signposting and its own decor, in a quite simply unique environment! Conferences, pitches and round tables were coming up this year at the Alter'Native Food Forum! In this newly created space professionals of the retail, trade and catering sectors as well as all the actors of the agri-food sector, were able to exchange together during the 5 days of the event, in order to discover all that the Alternative Food can offer them, in terms of innovation and opportunities! The NutriMarketing experts accompanied you every morning from 10am to 11am to discover the new "Alternative Ingredients"
NutriMarketing takes an interest in everything food-related: food creation, physiological processes, processes and technologies, food forms, packaging, and all aspects of communication concerning consumers, influencers and advisers. By marshalling diverse skills - scientific, technical, regulatory, marketing - we help our clients to innovate, develop and create business. Our ethic? To propose a healthier, ever more appetising, ethical, informative and fair offering. Our experts remain alert to trends, emerging markets and weak signals, in order to get an idea of what the future has in store, both short and long-term. Our experts are on constant watch for innovations worldwide, and for all scientific, technical and marketing progress. Our expertise: innovation monitoring (market studies, presentation of trends); development of innovative concepts and products (game-changing innovations, amplified "me-too", new "food forms"); nutritional communication (nutritional audits, communication strategy, nutritional labelling, development of dedicated communication tools). Atlantic Santé is a communication consulting agency specialised in nutrition, health, food safety and the environment. At the interface between scientific and technological experts, companies from every sector and start-ups, the media and the general public, Atlantic Santé interprets scientific information for each target audience in France and abroad. In creating the Healthy Lifestyle Network and surrounding herself with a team of nutrition engineers and communication specialists, Nathalie Hutter-Lardeau, nutritionist, author and entrepreneur (Atlantic Santé, Delibento® and WomUp®) seeks to unite her partners around the same vision of the world of food, health and well-being. The activity of Atlantic Santé is built around 5 hubs: Contact (freephone number for crisis management and consumer services), Consulting, Training, Publication and Congress. Find out more on the agency website.